by Karimah bint Dawoud, Muslim Chaplin & well being writer. For this challenge you are going to need some scales if you are going to live on more than fruit and crackers. To weigh up your flour allowance, rice, etc. Its tedious weighing food but once you get into it and have scales you love, then its actually fun. 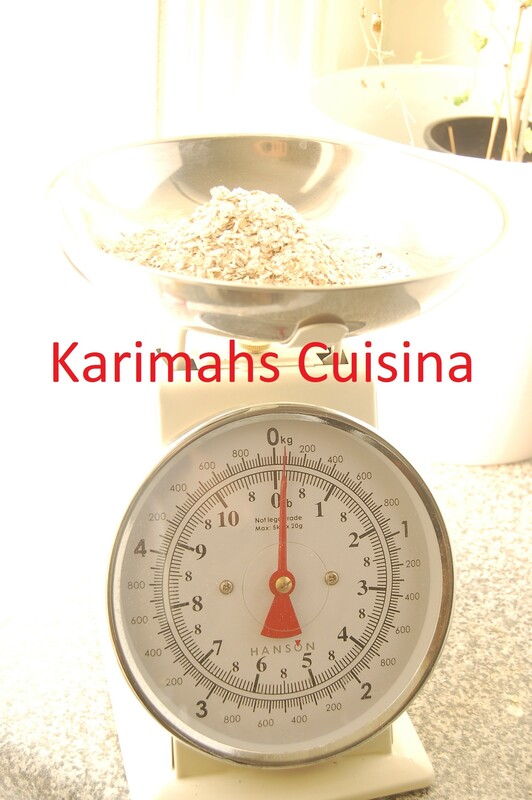 We are into vintage at Karimahs Cuisina, so this old style Hanson scales, reminiscent of the olden days corner sweet shop are great, with a modern touch, they give you measure in pounds and kilos. You may prefer digital scales , whatever takes you fancy, however to follow the recipes and not cheat , you will need to weigh it up. in the Islamic renaissance, Arabic alchemist discovered how to paint gold lettering tint glass, distill acids and alkali by painstaking trail and error that included specific measuring. Haphazard chucking things together, is not of the way of excellence, it is the way of a mediocre people. Al-Razi (864-940), was one of the great Islamic alchemists who was known in the West as Rhazes. He was born in Rayy, near Teheran. There he studied music, mathematics, and, most importantly, alchemy.